Today’s young professionals have been considered some of the most difficult individuals to figure out as many employers struggle to find new ways to keep them engaged and on staff for as long as possible. According to a Gallup report released last year, millennials are the highest generation to switch jobs and the least engaged generation in the workplace. While creating an environment that’s suitable for today’s multi-generational workforce is no easy task, it seems that many young people are learning how to tap into their happiness outside of the office. As the concept of a side hustle generation continues to emerge, it’s becoming more common for professionals to juggle multiple jobs at once in an effort to not only meet the demands of their corporate job, but to also feed the passion and activities that excite them most. But how exactly do you turn your passion into action without losing focus on your day job? The Life Currency caught up with three millennial women who share key advice on how they successfully balance both their 9-to-5 and side hustle. How long have you been juggling your side hustle and what prompted you to start it? The Creative Collective NYC (CCNYC) has been around for a little under a year and it really was a natural birth. I felt like to be in NYC and be around so many creatives, I wasn’t really building with them and I felt there was a missing link for that. So CCNYC came about because I wanted to fulfill a space that wasn’t being filled and wanted people to utilize these relationships and connect with each other in a meaningful way that goes beyond business cards. It was started in my apartment and it was created for people who want to build together. We have a network of over 2,000 creatives in NY already and I think it’s grown so fast because people need community. What’s your secret to balancing the monthly networking events for CCNYC and the demands of your day job? I think when it’s something you’re passionate about, you will always find time. I enjoy bringing people together and I’m lucky because it’s something I do in my professional job so there are skills there that I’m able to bring to my side hustle. I think if you’re able to take those skills that you use in the structure of a 9-to-5 and bring them into your creative circle you’re always going to thrive. So with CCNYC, I don’t let emails pile up because it’s not my bread and butter. It’s almost like my second job and I have to treat it as such. From the beginning, I went into it like it was a real thing. I respected people’s time and I always treated it like it was this huge organization when really it was being ran out of my apartment. I think people like our events because they are super detail-oriented and curated. They provide an experience, which is the biggest thing people want to have because it’s something they can remember. What advice do you have for young professionals who want to turn their passion into action, but are scared about where to start? 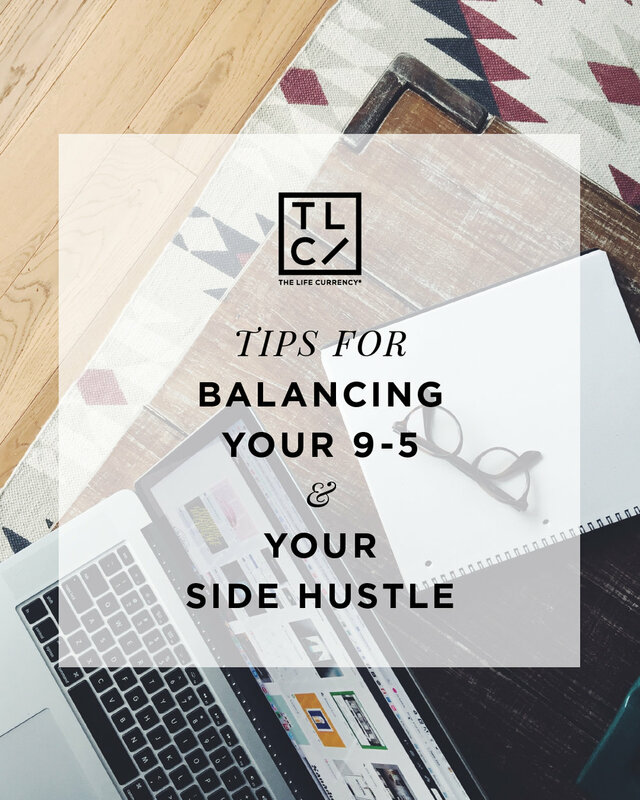 What I would suggest is if you’re still at your 9-to-5 and want to have a side hustle, just start where you are. When we started, our Instagram was at three followers, and I think you sometimes just have to be kind to yourself and say “Well, at least I’m starting.” It’s not about numbers, but our following grew exponentially over time because I was consistent. Whether it’s an hour a day or two hours a day, you have to be consistent with yourself. It’s like working out. You’re not going to lose 100 pounds in one day, but if you keep at it, you will make progress. We work with huge brands now and if you had asked me a year ago if I would be working with BET and Revolt, I would have said no way. But if you bite off a little at a time and have people you can trust to bounce ideas off of, you will move in the right direction. You just have to remember that your dream is almost like a baby and people aren’t going to be as obsessed with it as you are. You might not have people there to help you approve of everything, but you have to have a circle you can trust. I launched RanaCampbell.com after graduating from Princeton in June 2013. I wanted to venture into blogging and focus on branding so I write a lot about personal branding. With a focus on entrepreneurship, I also realized I loved interviewing people and in January 2016, that’s when my Dreams in Drive podcast was born. What’s your secret to balancing the demands of your website and podcast as well as your day job? I live by my calendar. I think you have to be really structured and you have to give yourself a timeline for things. The biggest thing that has helped me juggle it all is having a set expectation for output. I know I committed to putting up at least one podcast per week for Dreams in Drive so I create a project management sheet and I list every single step. You also have to know how to manage your time, so for me in the morning before going to work, I check up on my emails for Dreams in Drive. I also devote two days per week to do my interviews for [the podcast]. I think you have to have an honest conversation with yourself about what you’re really scared of. We can lie to ourselves about what the true issue is and it may be that you’re just scared of failing, but once you’re able to truly identify what is holding you back, you can move from there. But just know that you will never know until you try. I’ve been juggling my side hustle for about a year and a half now. Event planning has always been a passion of mine and I got into the business because I wanted it to be more than just a hobby. What’s your secret to balancing the demands of your day job and side hustle as an event planner? My ultimate goal is to transition into events full time, but I know that in order to do so, I must stay grounded in the industry and “keep my head in the game.” This means I have to keep my eye on the prize no matter what type of day/week my day job, and life in general, may bring. I utilize my free time to the best of my ability, and time management is a key component to juggling everything. I'm often up late at night working on events, and/or early in the morning, especially during my everyday commute. While on the train, I'm sending emails and conducting various searches, and I’m often stepping outside during my lunch break for conference calls with clients or my team. There are times I may have an event on a Sunday or during the week, and I may not get home from until 1 or 2 am, and then have to turn around and be up at 6am for my day job. I don't complain though because this is what I asked for. This is what I want to do and I've learned to adjust to everything that comes with it. My advice is to find your means of making it happen and don't be afraid to start at the bottom. So many people are concerned with how it looks to others when they start from the beginning, forgetting that everyone had to have a starting point. I started my career as an event planner by interning for a company after I graduated college, and I had zero shame in it. I was excited to learn the business in a professional sense, and thankful for the opportunity. My hard work and dedication quickly paid off as I was brought on full-time by the company's owner as head planner. That was such a rewarding moment for me. I also advise young people interested in picking up a side hustle to be sure that it’s something they are truly passionate about. You have to be ready to put your all into it including blood, sweat and tears. If it’s something your heart truly desires, anything is possible and achievable.